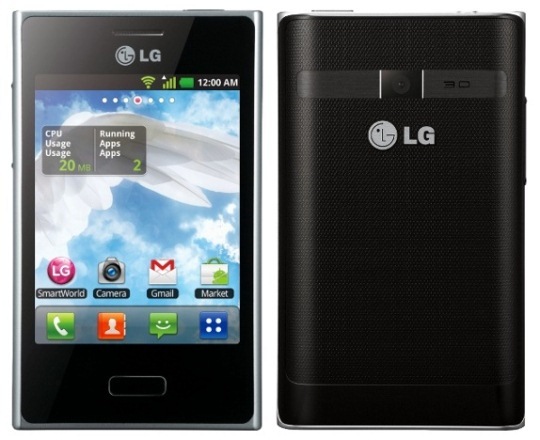 LG has recently released its entry level Android Smartphone called LG Optimus L3 E400. Its specifications is close to Samsung Galaxy Y S5360, also an entry level Android phone. And both of them have similar price when they were first launched. The LG Optimus L3 E400 has an SRP of Php5,990 in the Philippines, or that’s $169.95 USD outside Ph. If you do not own an Android phone yet, and you are tight on budget, you can choose from these two smartphones. Today, let’s compare LG Optimus L3 E400 and Samsung Galaxy Y S5360 and see which one is the right Android phone for you. First let us take a look at their specifications side by side. The Samsung Galaxy Y sticks with the “Galaxy” look, while the LG Optimus L3 has a rectangular design. In my opinion the Optimus L3 looks similar with the Nokia Lumia smartphones. The LG Optimus L3 is wider and a little bit thicker compared to Galaxy Y, but its shorter by 2mm. It’s also heavier compared to Galaxy Y. Basically, it comes down to personal taste, whether you like Samsung’s design or LG’s. But LG has an advantage over the Samsung Galaxy Y when it comes to design. LG offers more color option compared to Galaxy Y which has only Black and White. While the LG Optimus L3 comes in Silver, Blue, Black, Red, and Pink. Both these smartphones runs on the same version of Android OS, Gingerbread but LG has it’s unique UI as well as Samsung. The LG Optimus L3 is powered by an 800MHz single core processor, while the Samsung Galaxy Y has more processing power by 30MHz. But the Optimus L3 has more RAM and bigger internal storage compared to Galaxy Y. Both of them have similar connectivity and data capability. Both of them have WiFi, USB, Bluetooth and HSDPA capability. But based on the specs above, the Samsung Galaxy Y has a faster HSDPA speed of 7.2Mbps vs 3.6Mbps that of Optimus L3. This means that the Galaxy Y has a faster download speed. When it comes to battery, the LG Optimus L3 is powered by a Li-Ion 1540mAh battery while the Samsung Galaxy Y is powered by a 1200mAh. Most probably, the Optimus L3 will have a longer battery life. But in my point of view, it really depends on how you use the phone. The LG Optimus L3 has a little bit bigger display, 3.2-inch vs 3 inch. However the Optimus L3 has lesser pixels per inch density compared to Samsung Galaxy Y. Which means the Galaxy Y have a better display quality, just a little bit. But, when you are used to look at IPS, Super AMOLED or even Retina displays, you can say that a TFT-256K color display doesn’t look good. But hey, its a budget smartphone. Surprisingly, the LG Optimus L3 E400 has a better camera, with 3.15 megapixel sensor plus and AutoFocus function which the Samsung Galaxy Y, sadly, does not have. It would be great if the Galaxy Y had an AutoFucos function too. If you ask me which one is better, well it all comes down to personal preference. From the looks of it, both these phone are very similar. They have their own advantages over the other, and both of them have the same SRP. Samsung Galaxy Y’s price might have changed already since it was released last year. I have a Galaxy Y, so far so good. One thing I can say about entry level smartphones is that sooner or later you will want to buy a higher end smartphone since these type of phones offer very limited capabilities and could not run some Apps. 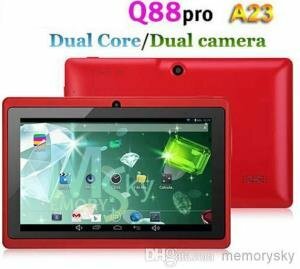 But if you don’t have an Android smartphone yet and you are in a tight budget, you might as well consider these two. Although I suggest you check out the phones physically and see/feel which one do you like best. Hope this LG Optimus L3 E400 vs Samsung Galaxy Y S5360 article help you decide. You might want to check out LG Optimus L3 lowest price and review here.